We had pre-booked into a caravan park at Airlie Beach for 3 nights so we decided we needed an early start to get there before 5pm. 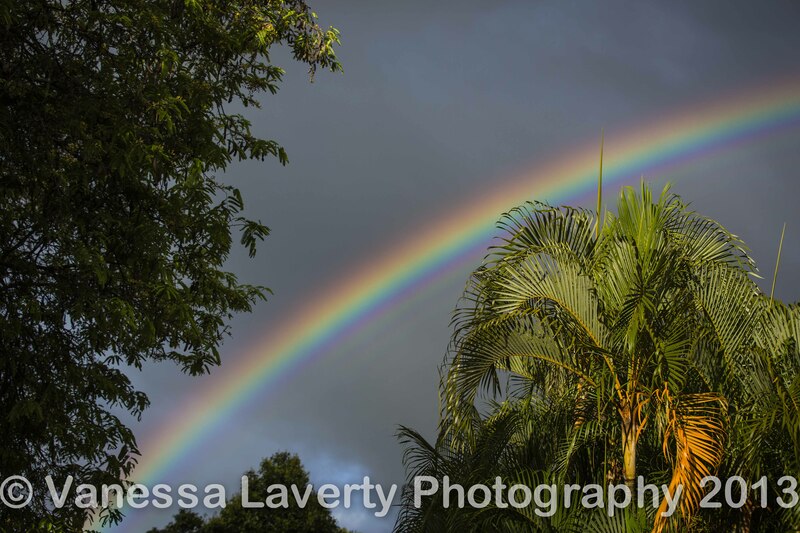 As I had a photographer friend in Townsville who I wanted to catch up with, we would need all the time we could get on the road. Before we left though, this pretty rainbow sent us on our way. 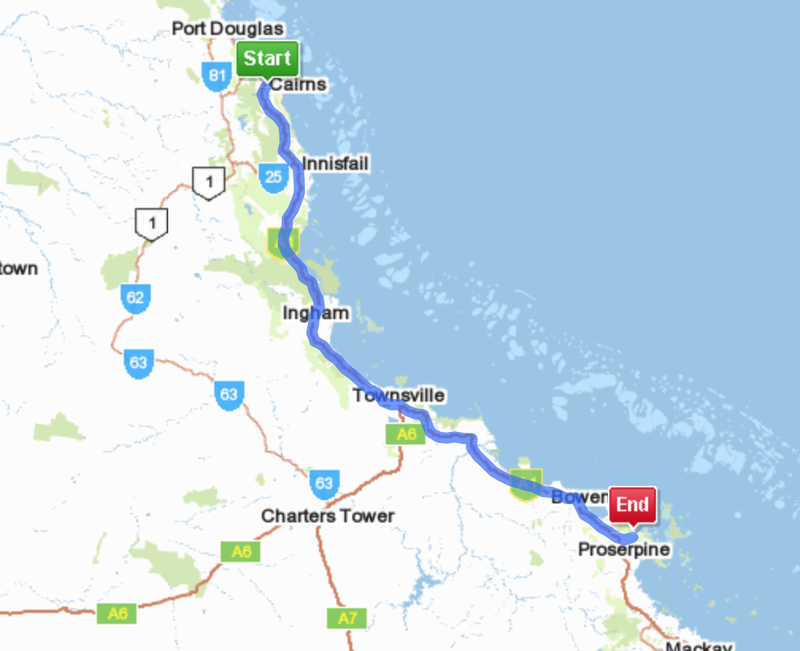 The journey was uneventful and we pulled into Cardwell for a bite to eat. I must say that I enjoyed this stop. The views were rather lovely. We stopped in Ingham on the way so I could photograph ‘The Pub with No Beer’ which of course, was a major hit for Slim Dusty – a favourite of my Dad. We stopped in Townsville for nearly 2 hours and I met up with the gorgeous Tanya who is a photographer friend of mine. We had been ‘friends’ on Facebook for ages and were in the same forum, but this was the first time we met in person. We had a lovely lunch at C-Bar on the Strand while Damian sat near the Bucket with Pepe under the shade and enjoyed some quiet time. We finally arrived in Airlie Beach late in the afternoon and booked into the Seabreeze Tourist Park. We were looking forward to catching up with rellies who we hadn’t seen for a few years.